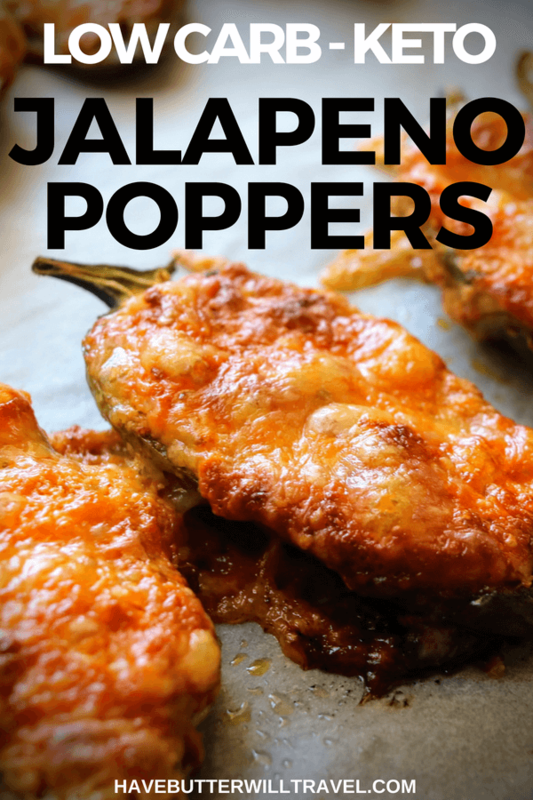 These keto jalapeño poppers are one of Dan’s favourites. We love to have them with chicken wings and this meal feels like a real treat. These are perfect to serve your friends on game night or as a weekend special treat. What’s not to love about these cheesy morsels. Jalapeños are a mild chilli pepper that is popular in Mexican cuisine. Dan’s chilli tolerance is very low, but she can tolerate jalapeños, so we use these chillis a lot in our cooking to add a little bit of heat. 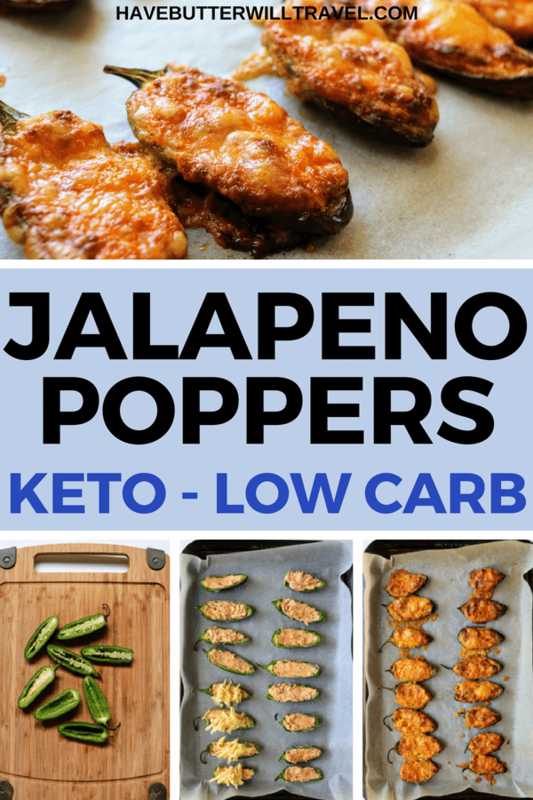 Keto jalapeño poppers are very popular in the US and we fell in love with them when travelling in the US. 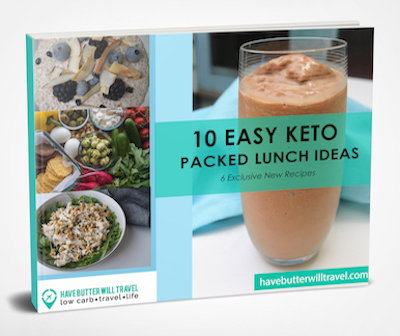 We knew we could easily make a keto version and they quickly became a staple in our weekly meal plans. Our favourite was to serve keto jalapeño poppers is with baked chicken wings. It feels like takeaway and a treat without all the carbs. They are the perfect appetizer to a keto mexican feast. We also love to serve these keto jalapeño poppers with this delicious chorizo chili. 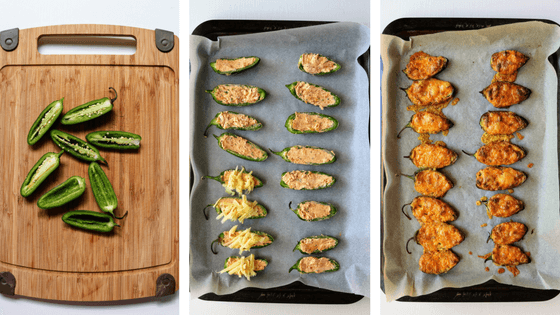 Do you love keto jalapeño poppers as much as we do? Let us know what you like to serve them with in our comments below. Dan is always looking for ways to incorporate them into our meals. 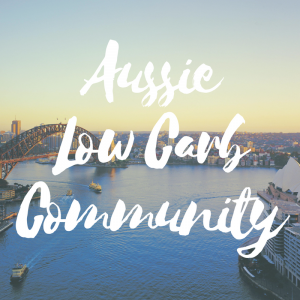 Check out some of our other delicious keto recipes. 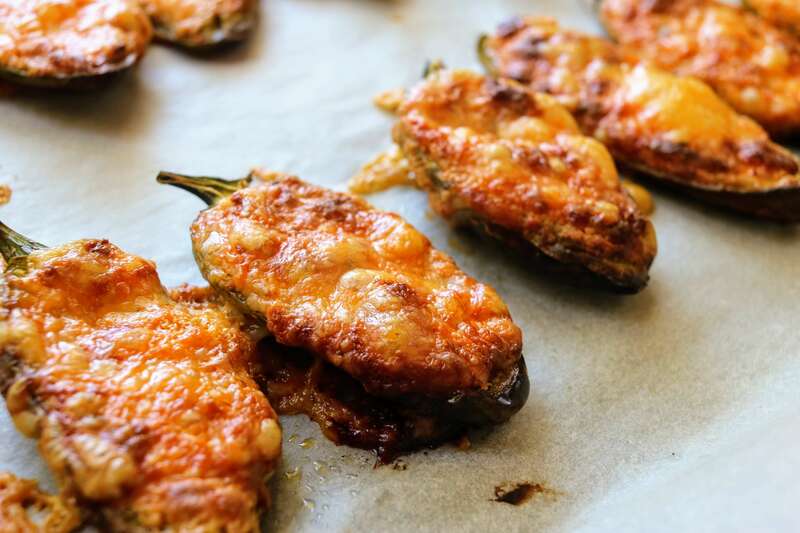 These keto jalapeño poppers are one of Dan's favourites. We love to have them with chicken wings and this meal feels like a real treat. 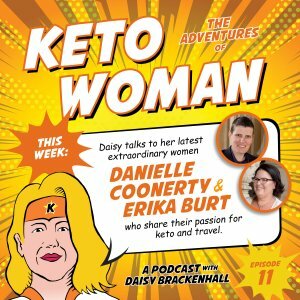 Nice article about keto jalapeno poppers but there’s no recipe. 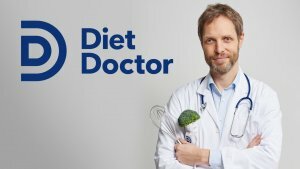 How we supposed to make them .I don’t even know what Keto is. I don’t know what kind of cheese used. Hi, Im not sure if there was an issue with the recipe when you looked but the recipe is there, down the bottom. I made this dish for a potluck lunch and they were a HUGE hit. Each piece was gone. I’m just making these at home now for snacks coz they are that amazing! Thanks!